Video of The Christening of the DISNEY DREAM! Hey Disney Parks Bloggers! 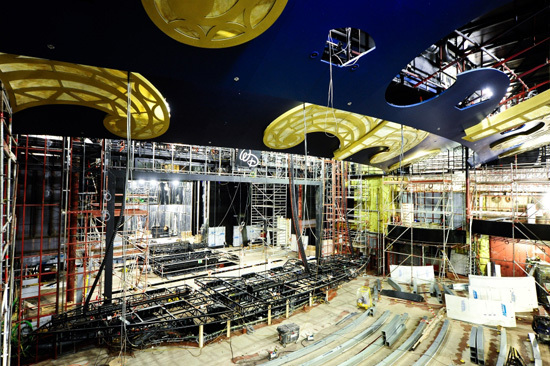 We want to continue bringing you updates on the progress Disney Dream as we get ready for the launch of the ship in January of 2011. Today we want to show you the progress of the Walt Disney Theatre, which will host some of the most elaborate productions presented at sea. The 40-foot-wide stage will include full-flying capabilities for moveable backdrops and scenery, a projection system for animated scrims and stage lifts, and the capacity for pyrotechnics. Inspired by the red carpet and golden trophies of Hollywood award shows, this colossal show palace will be adorned in rich red and golden hues. 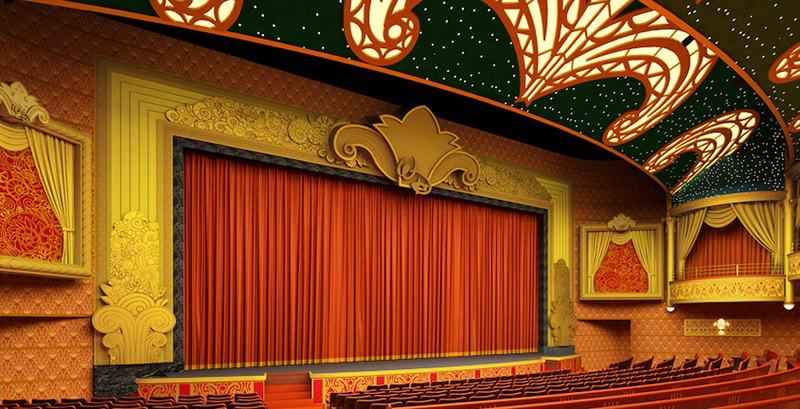 Intertwined throughout this Art Deco-style theatre are subtle Disney decorative touches. 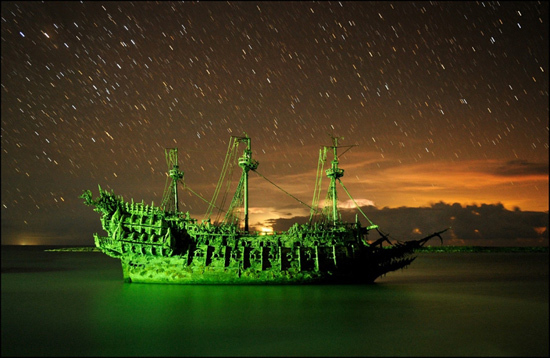 Talk about a great start – this week, we welcomed new author Kent Phillips to the blog and for a first post he showed us how some unfriendly skies and unique lighting can be magical at Castaway Cay. There are details about how the image came to be in Kent’s original story. 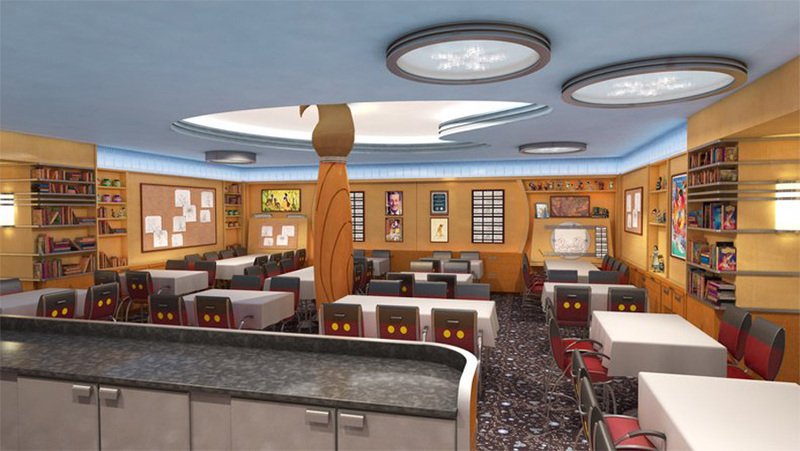 Many of you have been wondering…what do we have in store for Animator’s Palate on the Disney Dream? Wonder no more! This is how the restaurant will look when you first arrive. 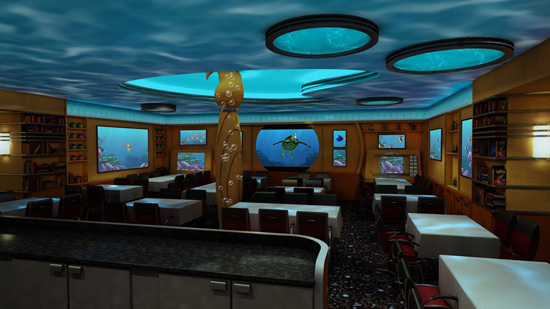 As your meal progresses, the restaurant begins an enchanting transformation and the artwork around room magically fills with bubbles, revealing scenes of a vivid undersea environment. It’s as if the dining room has been transported under the sea and the artwork has turned into windows providing incredible views of a colorful coral reef and creatures that reside on the reef. This is where the really cool part kicks in. Crush, the surfer-dude sea turtle from “Finding Nemo,” will make a special appearance, swimming around the restaurant and interacting with guests. Crush will visit each section of the restaurant and ask guests about their experience onboard the ship and answer questions about his life under the sea. 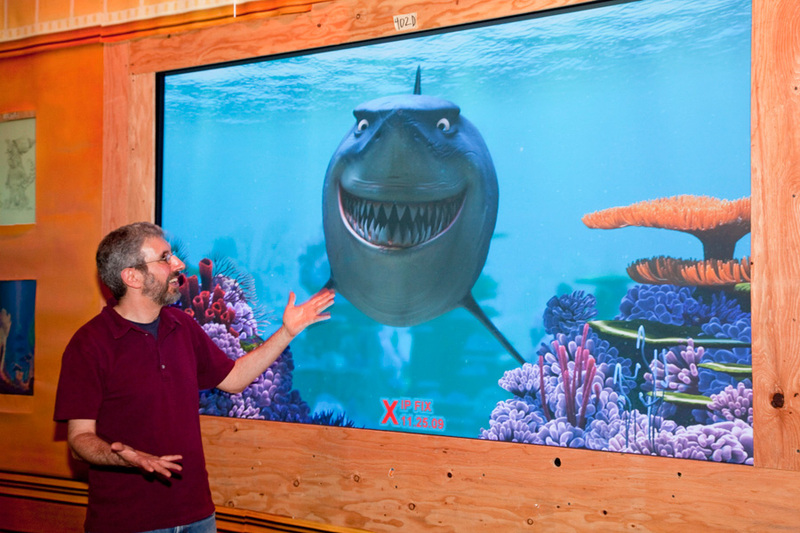 Other characters from “Finding Nemo,” such as Nemo, Dory, Squirt and Bruce the shark, will also swim by and visit with guests. Check this out…the guys from Walt Disney Imagineering are hard at work putting final touches on the experience. They even mocked-up a portion of the restaurant with plywood! As with all Disney stories, this dining experience at Animator’s Palate has a tremendous finale moment…but I don’t want to spoil that surprise. You’ll have to sail on the Disney Dream and experience it for yourself!